Point Nos 2,3 and 4 ( Below) "Implemented"
See Literal Withdrawal of rains as mentioned in Point 1. 1.The Monsoon Axis currently in the North at the Himalayan foothills, remains in the Northern most position till Saturday 18th (at least). Precipitation literally withdraws from NW India and Central and Western India next 2 days. From 16th July, Due to interaction of a Eastward moving upper air WD with the axis, enhanced rainfall is expected in the Hill states of Kashmir and H.P. and Utterakhand, Punjab regions of India and Pakistan, Haryana , Delhi and West U.P.Rains will last for a couple of days in the North. 2. 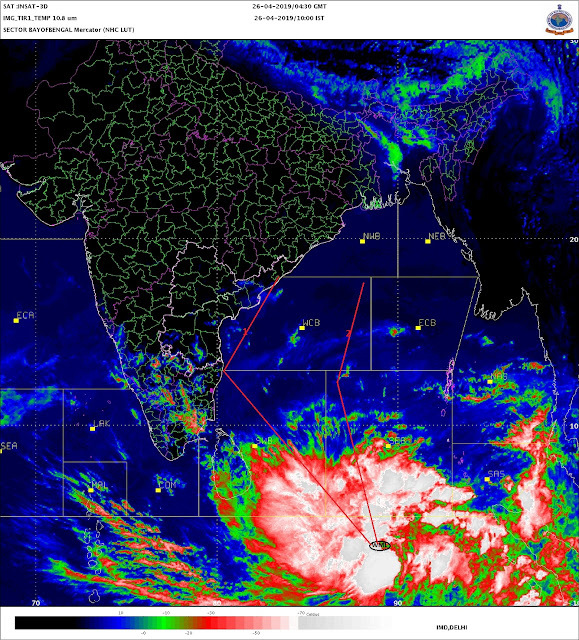 West coast off shore trough becomes active from 15th for 2 days South of Goa. ( Coastal Karnataka and Kerala). Rainfall remains subdued in Konkan, Interior Maharashtra, Interior Karnataka , Telengana and Southern Peninsula till Saturday. 3. The Eastern States of Odisha, W.Bengal and A.P. get some showers as the off shore trough harbours embedded UAC during 15th/16th.No significant numbered system . 4. Very Heavy rains in Nepal and Sikkim Tuesday 14th and Wednesday 15th. After all this rain in the North, thanks to BB-2, where do we stand now and what is the All India Rainafll Position ? Mumbai will get partly sunny weather with few passing showers on Tuesday, Wednesday and more cloudy on Thursday.But the dry wait may end to some extent as Possibility of rainfall increasing on Friday. Friday and weekend forecast will be up onThursday. Pune, the dry wait continues...will be seeing almost dry and warm conditions. will be partly sunny with light drizzles in some areas. Kolkata: After 59 mms (DumDum) on Monday (12 hrs till 8.30 pm IST), Light rains on Tuesday. Taking full advantage of the UAC in the Eastern trough, Gets the rainy spell again, as Slight increase to around 10-15 mms on Wednesday and more on Thursday to around 30 mms. Delhi NCR: Capital needs time to recover from recent rains. So, almost dry and again hot to 36c on Tuesday Wednesday and Thursday. Umbrellas out again on Friday ! Bhubaneshwar: The wait extends for some more days, till Thursday. But wait will be hot Tuesday, Wednesday as day rises to 38c. Thursday thru Saturday sees increased rainfall. Sir, do you see recovery for maharashtra in last 10 days of July or will it end in deficit? Sir, gujarat and maharashtra eagerly waiting for rain....any guess about when will conditions can start to improve? ??? @ Nilay. True. Pathetic situations in Konkan with paddy crops and no recharge water for Dam also along base of ghats. But only SSET might be happy with this red paint on west coast as he always feels jealous to see coast on excess and concerns is raised only when Kar and TN is in red. @ Nilay. Yes. In 2002 & 2009 coastal may have see the much lesser but ghat were performing upto some extent at least was not like current year. Atul: Seeing rains increase in mahrashtra after 19th July...so overall deficit will reduce. Konkan will remain positive with 250 mms + cumulative in last 10 days. Gaurav: Rains now almost nil in Gujrat. Seeing incease, though not much, around 5-10 mms in many places in Saurashtra per day. But further increase after 22nd in North Gujarat specially. SSET : How can you use word bonus rain when first half of July rain is in 95% deficit of July avg for N. Konkan!! So first scanty, deficit category has overcome..